7 Responses to Welcome to GuideOregon.com! Couldn’t ask for a more knowlegable guy than Jeff Stoeger. He has been involved in the Portland Fishery business, he has a wealth of information and loves to share it while putting you on some great fish. They guy lives “Fishing,” guaranteed to have a great day on the water with Jeff. Been out with Jeff many times caught alot of fish……great trips. First time out with Jeff, slow day catching, got one hatchery on the last drift. Had fun and a great shore lunch. Will try it again for springers. Thanks Jerry. Had a great time and hope to see you again. Enjoyed the company best of luck and tight lines. I stumbled upon The Guides Forecast last year, and now read it every week. 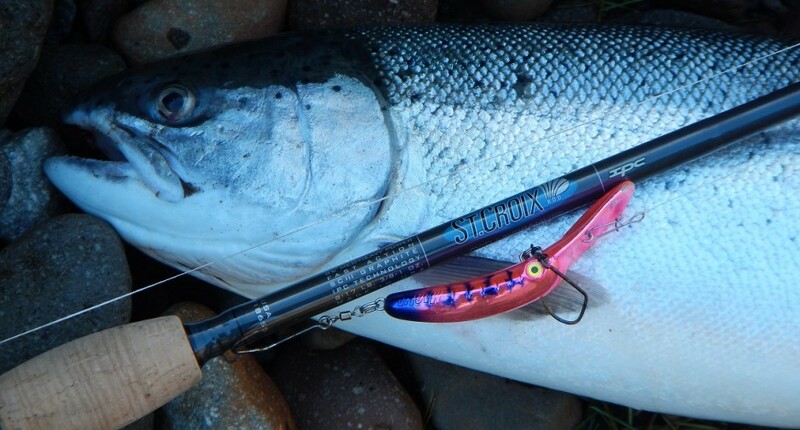 Jeff’s report on the Sandy alone is responsible for getting me into most of my coho last fall. Naturally when steelhead season was upon us I contacted Jeff to take me down the river. He is extremely passionate and knowledgeable about what he does, and the experience of fishing with him goes way beyond getting fish in the net. Jeff takes the time to explain the techniques he’s using, how to rig up for those techniques, and he’ll point out great spots to fish from the bank along the way. I’ve been on two trips with Jeff now and both were a good time. Most recently he got me into a huge wild steelhead we estimated to be 15-20 lbs. Jeff does what he does because he loves to educate and help anglers learn to catch more fish. It is evident from his low price that he’s not in it to get rich, but rather because he loves fishing. He’ll even encourage you after the trip to call him for tips or a fishing report, he really does go the extra mile. I can’t stress how positive my experiences with Jeff have been, and how much I’ve learned from him. I HIGHLY recommend booking a trip with Jeff, I know I’ll be booking more. Thank you for the kind words. It was great to have you out. Better than the first trip. Hope to see you again soon.